Santa Fe has become synonymous with the arts. When you come stay at Four Kachinas, you’ll see why! Adobe architecture, stunning landscapes, and a unique way of living have inspired countless artists to do their best work in our area. 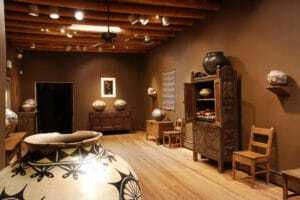 Find out for yourself when you visit any of these Santa Fe, New Mexico, art galleries! 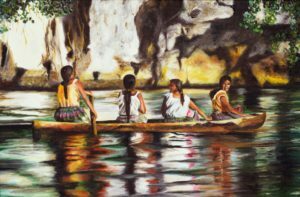 With more than 250 galleries featuring all types of art including traditional, western, contemporary, Native American, Spanish colonial, and folk, you can spend day after day immersed in the arts. Read more about our favorite Santa Fe art galleries. For even more ways to experience the arts, access our complimentary Vacation Guide. It has everything you need to know about planning your Santa Fe getaway of a lifetime. 1508 Bishops Lodge Road Patricia Carlisle Fine Art Inc.
Come experience all the incredible Santa Fe, New Mexico, art galleries for yourself when you stay at Four Kachinas. 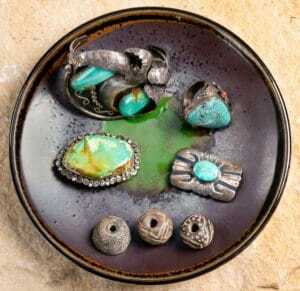 Located in the heart of Santa Fe, our property is just moments away from any gallery you want to go browse. If you’re not sure where to start, we’re more than happy to tell you our favorites! Browse our cozy rooms to start planning your trip. Each is adorned with Southwestern decor and art, perfect for an inspiring stay. Plus, you get to start each day off right with a traditional Santa Fe breakfast. Book your stay today!